Especially if you're a kid, puzzles are twice as much fun when your name appears. 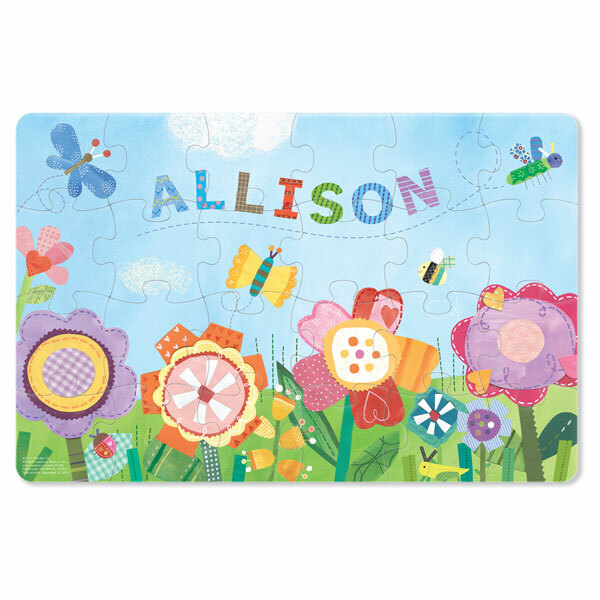 Personalize these colorful 24-piece puzzles with any name up to 15 characters. Finished Dreamy Day (garden) puzzle is 18" x 12". Allow 3 weeks. No rush delivery or gift box. Item can only be shipped within the Continental US.